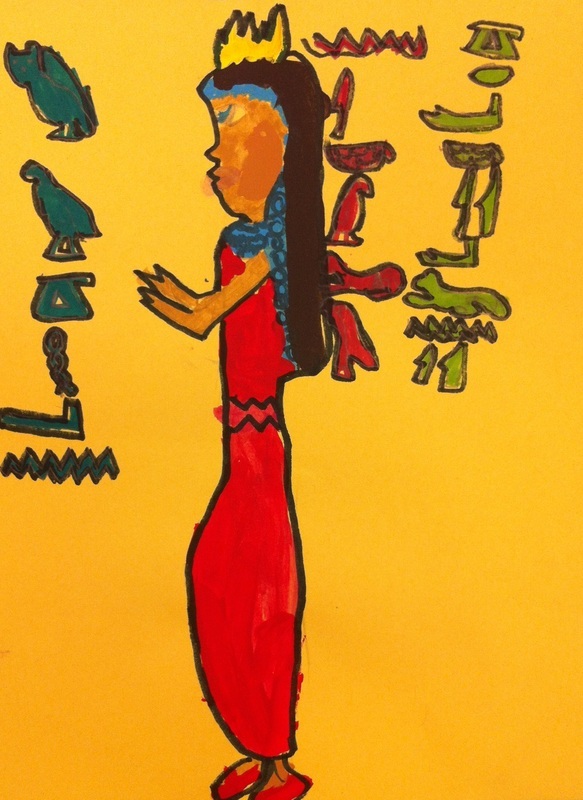 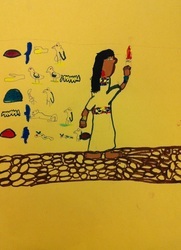 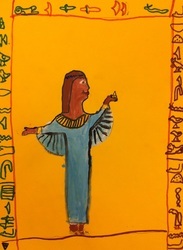 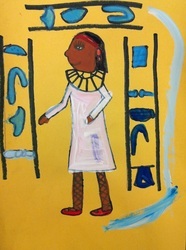 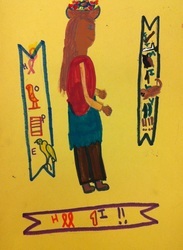 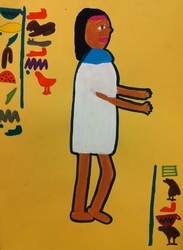 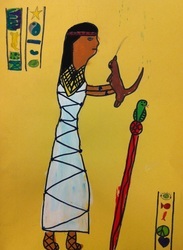 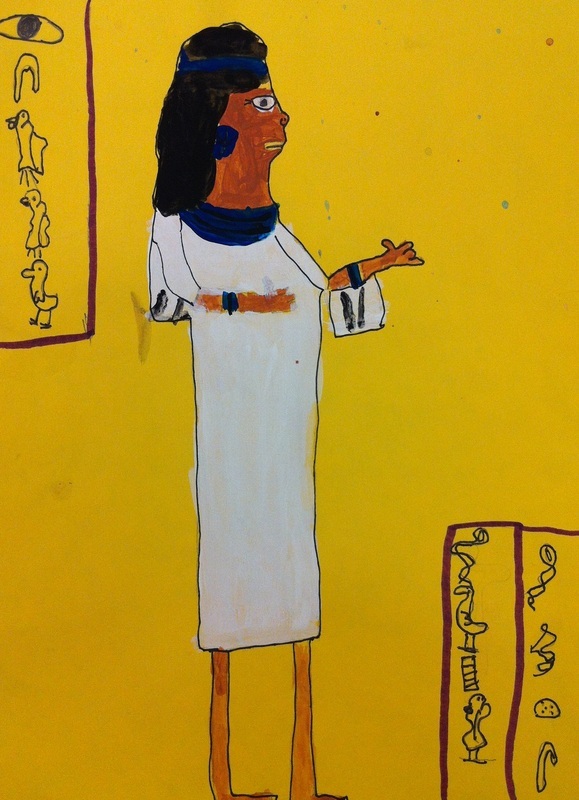 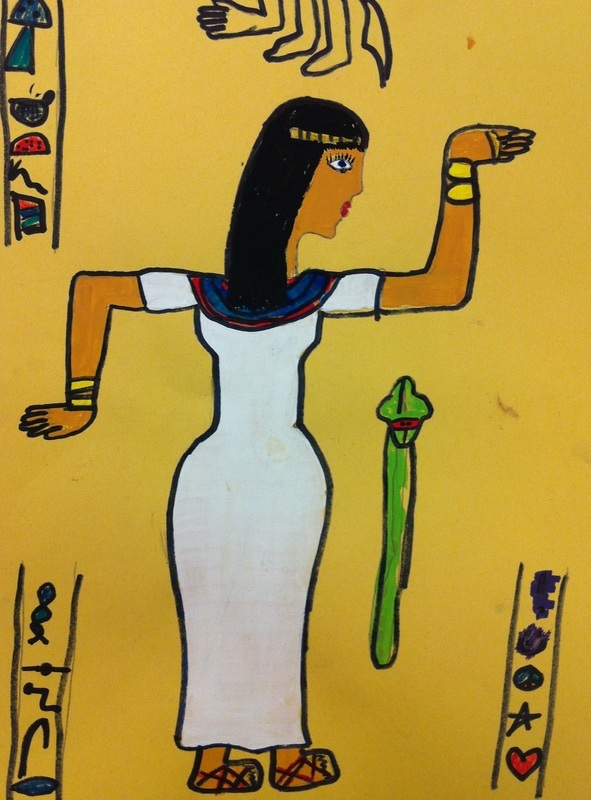 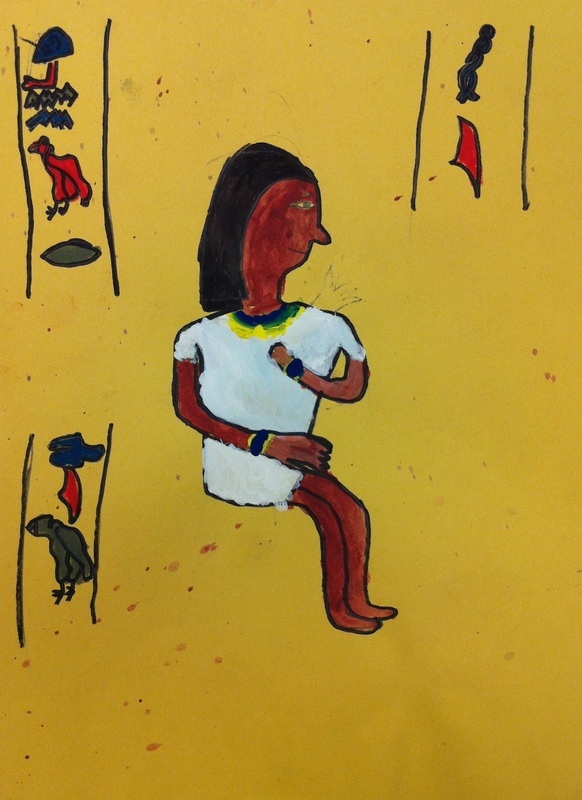 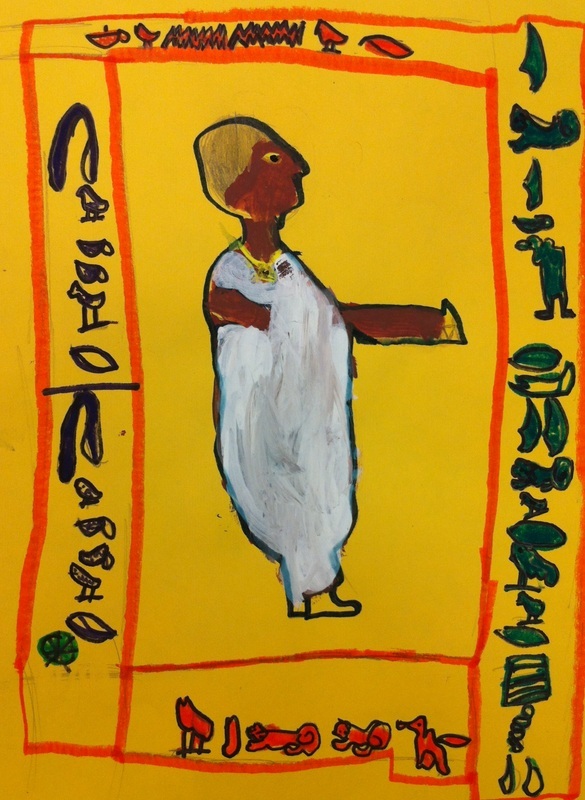 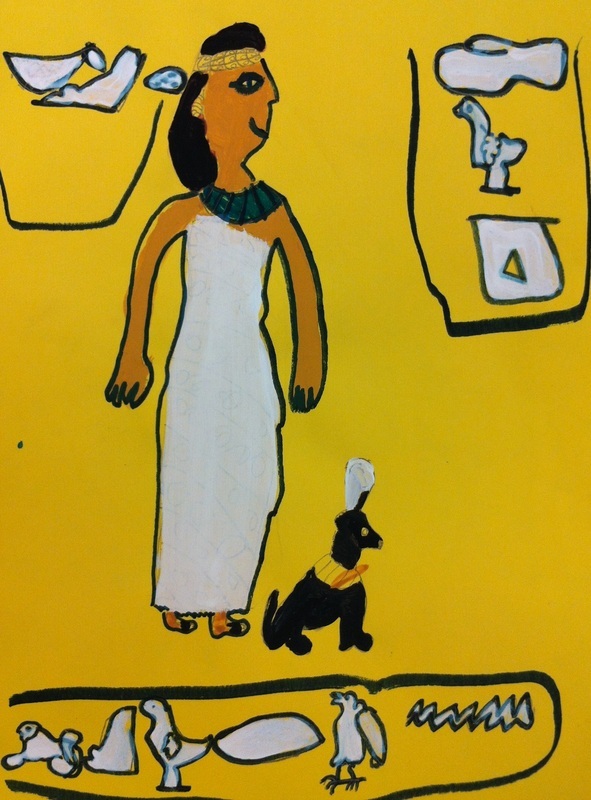 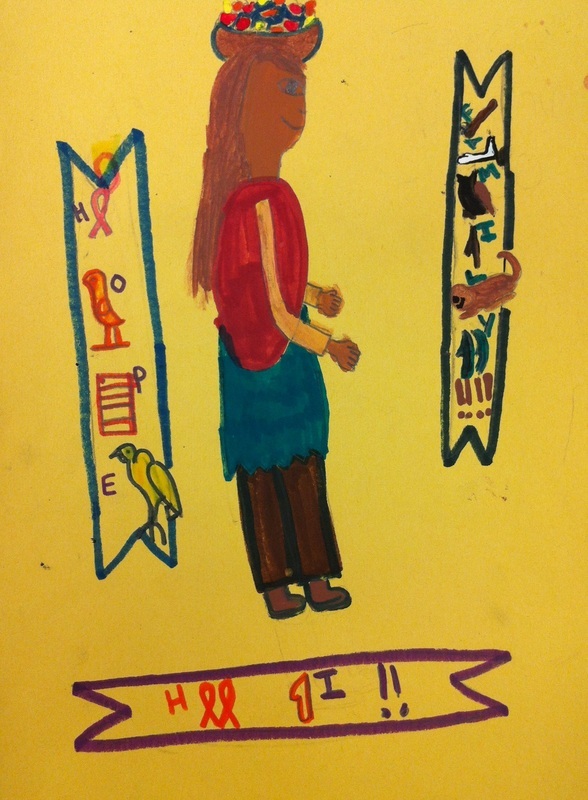 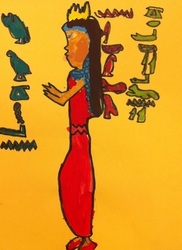 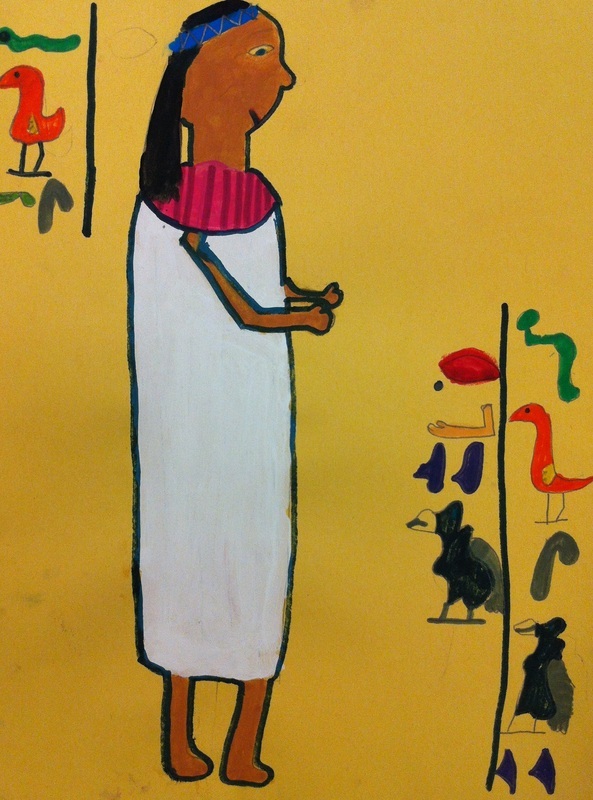 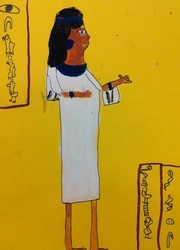 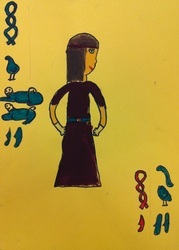 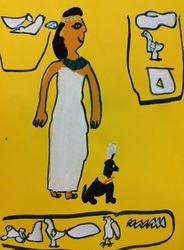 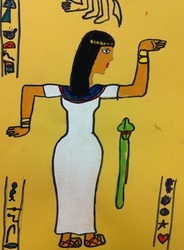 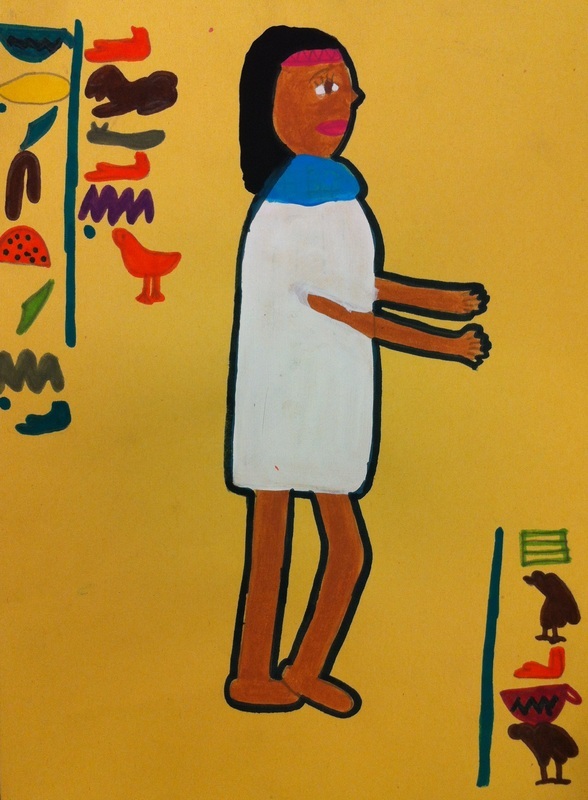 Fifth grade students created unique portraits inspired by Egyptian art. 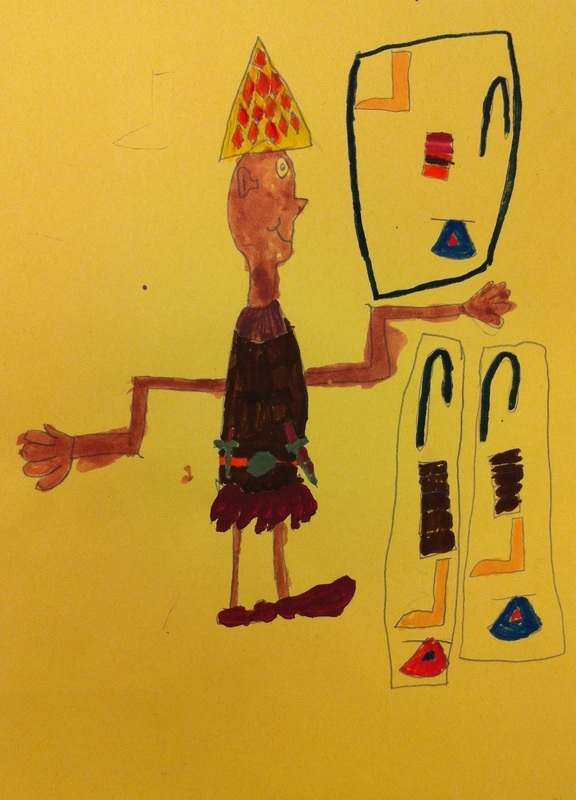 We looked at images of paintings found on the walls of ancient pyramids. Students identified the pose of each figure was primarily done in profile view. 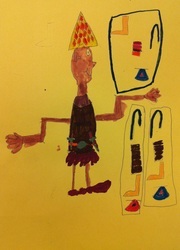 This style is known as frontalism. 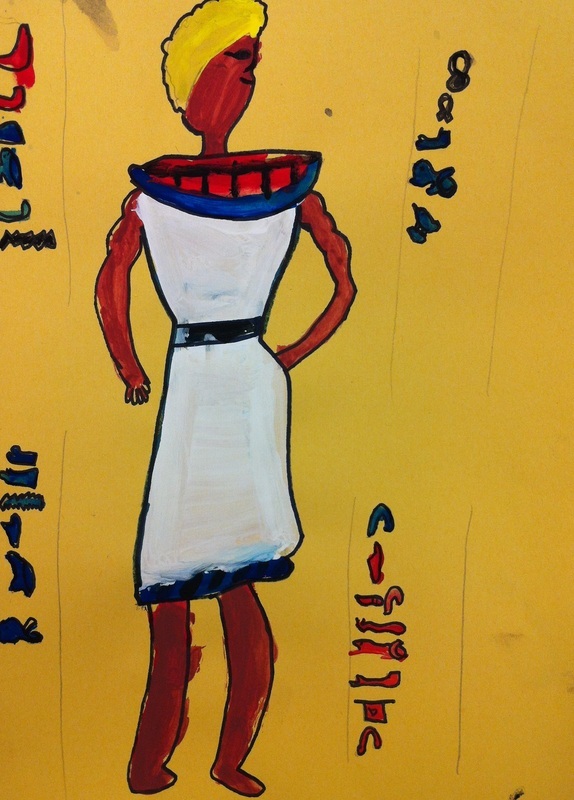 The head of the figure is painted in profile, while the body is seen from the front. 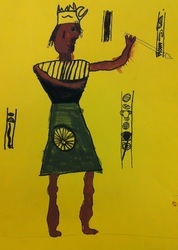 Although the face is to the side, the eye is drawn in full. 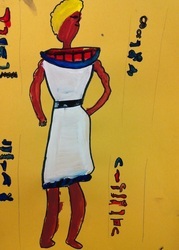 The legs and arms are turned to the same side as the head. 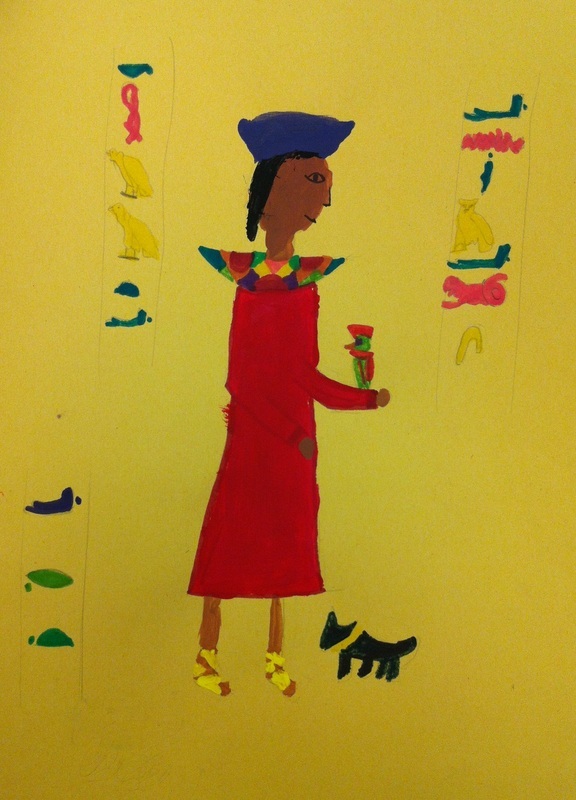 Each student created a portrait using tempera paint and markers on construction paper. 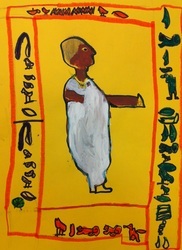 Once the figure was painted in the frontalism style, I encouraged students to fill the composition with hieroglyphic symbols. We discussed the purpose of a visual language to communicate meaning, much like the cave paintings of Lascaux we studied prior to the Egyptian unit.